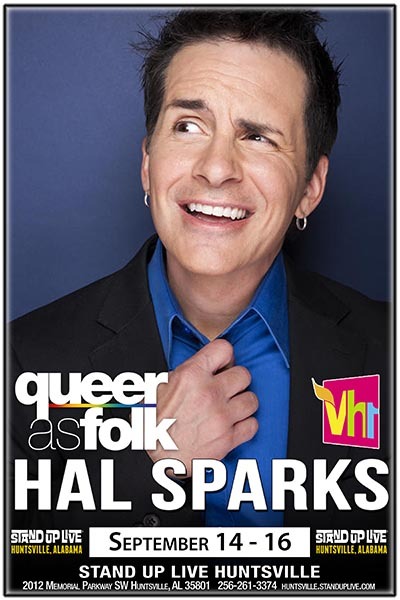 Hal Sparks is an actor, comedian and political activist. Along with his acting career, Hal recently joined the DGA following his directing several episodes of a hit comedy show on Disney. Last year, Hal made a very memorable guest appearance on Netflix’s “Fuller House”, as D.J. Tanner’s (Candace Cameron Bure) ex-boyfriend, Nelson Burkhard. Beyond his acting and comedy pursuits, Hal openly vocalizes his political activism through hosting his Superior Podcast. He is also a “go-to” for CNN International/LA Newsroom when there is breaking news that demonstrates how comedy and politics intersect. Hal began his professional career as a teenager in Chicago. As a member of the famed Second City Troupe, his quick wit and affable personality quickly gained him recognition and acclaim and he was named the “Funniest Teenager in Chicago” by the Chicago Sun Times. Sparks went on to host the Emmy Award- winning “Talk Soup” on E! Entertainment Television, winning rave reviews from fans and critics alike. He starred for five seasons on Showtime’s hit series “Queer As Folk”-which was way ahead of its time- and appeared in the films “Extract,” “Spiderman 2” and “Dude, Where’s My Car?” Sparks starred in his own one-hour critically acclaimed Showtime comedy special, “Charmageddon,” which is now a best-selling DVD. Being a versatile talent, Hal is also an accomplished musician performing with his popular band, Zero 1.